For and Against offers a new and exciting approach to the investigation of complex philosophical ideas and their impact on the way we think about a host of contemporary social and political issues. Philosophers explore a topic of intense public interest from opposing points of view. 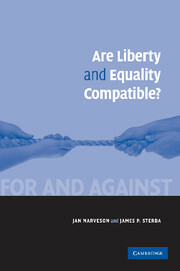 This approach provides the reader with a balanced perspective on the topic, but also serves to introduce the reader to the deep philosophical conflicts that underpin these differing views. The result is both a series of important statements on some of the most challenging questions facing our society as well as an introduction to philosophy. Each essay is compact and non-technical, yet avoids a simplistic, journalistic presentation of the topic.